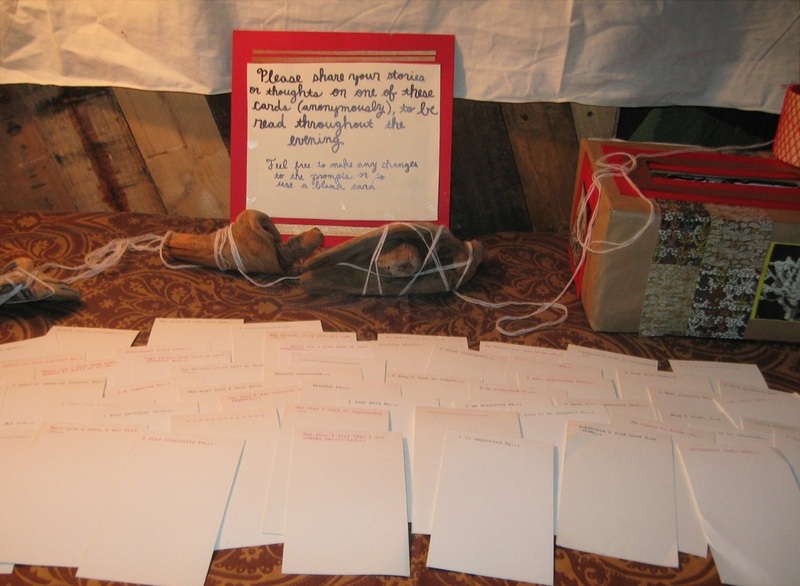 This interactive installation featured a desk-sized table displayed driftwood, tangles of thread and a variety of unique cards with typewritten prompts. Viewers were asked to anonymously complete a card. and performances of the writings were presented throughout the evening. This was a collaboration with Nellie Nutt and was presented as part of Form/ No Form Symposium at Synapsis theatre, Eureka, CA.